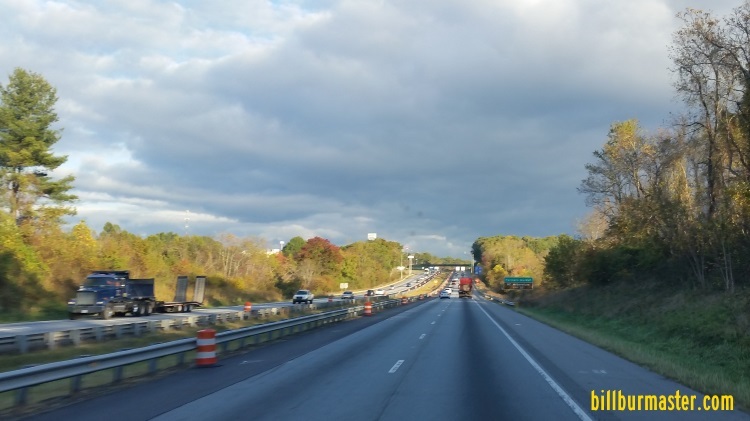 Interstate 26 is a north-south highway in Western North Carolina. This runs from the South Carolina/North Carolina State Line, near Tryon, to The North Carolina/Tennessee, near Faust. 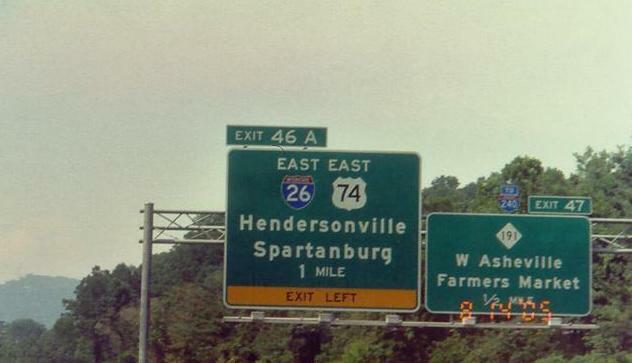 This highway had a old end point of Asheville. It was extended north into Tennessee in late 2003. ...U.S. Rt. 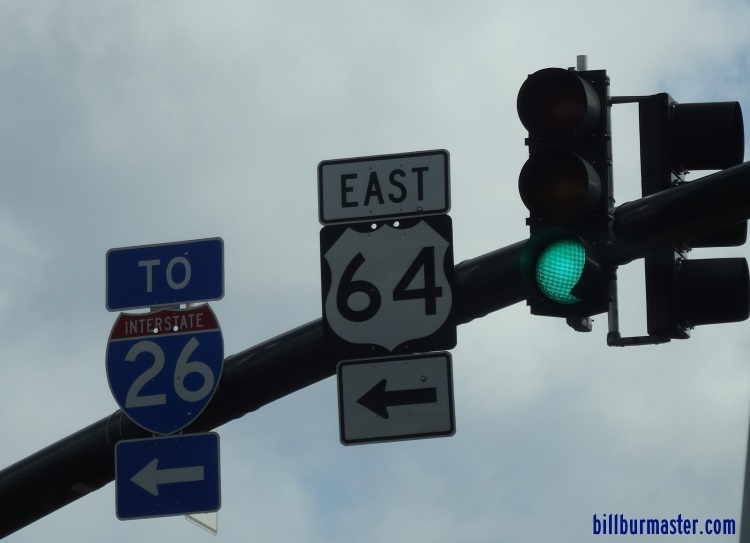 74, from near Columbus to Asheville. ...U.S. Rt. 19, from Asheville to near mars Hill. ...U.S. Rt. 23, from Asheville to the North Carolina/Tennessee State Line. ...U.S. Rt. 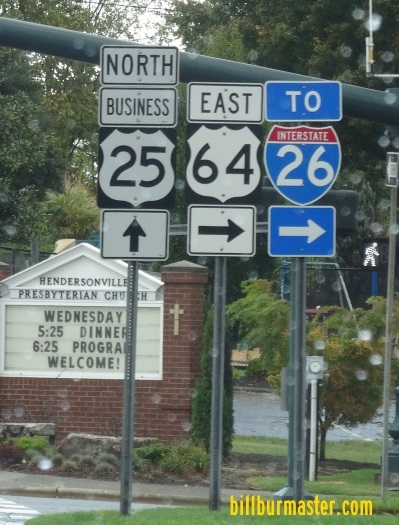 25, from Asheville to near Weaverville. ...U.S. Rt. 70, from Asheville to Weaverville. Interstate 26 crosses the following interstates in North Carolina. 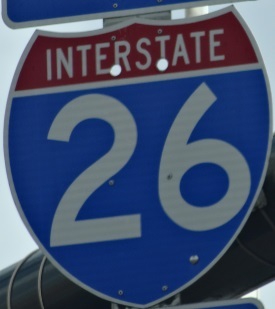 There are no branches of I-26 in North Carolina. NB I-26 south of NC St Rt 191. 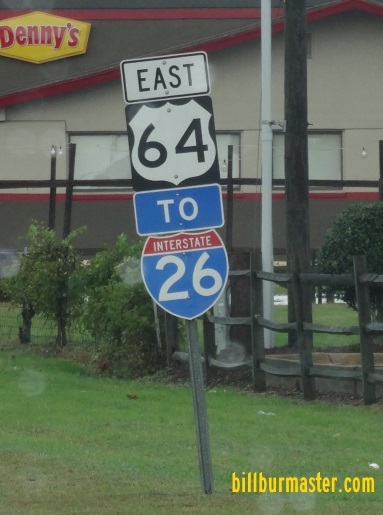 A guide marker on EB U.S. Rt. 64. A guide marker on NB BUSN U.S. Rt. 25. A guide marker on SB BUSN U.S. Rt. 25.